2. ALL participants MUST join our telegram group: https://t.me/FinanceX_Token . 3. All questions regarding bounty should only be posted on the bounty telegram group and not on the main group: https://t.me/financexbounty. 4. Participant can join multiple campaigns. 5. Using multiple accounts in a single campaign is not allowed. 6. 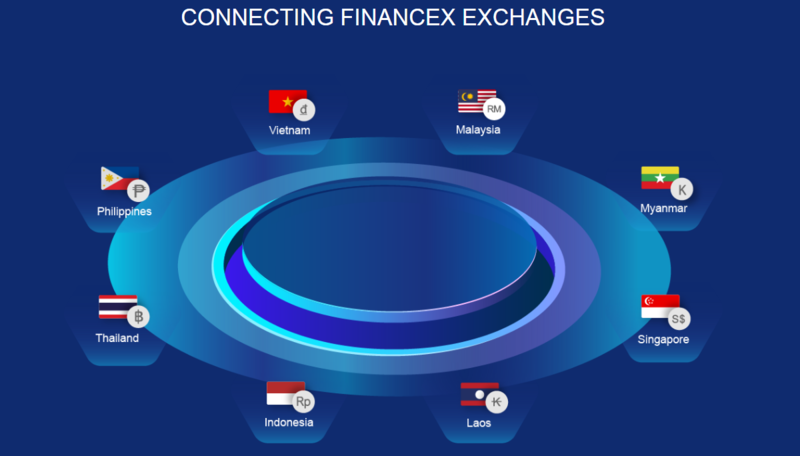 In order to receive bounty reward you MUST sign up on FinanceX ICO website via LINK: https://ico.financex.io/register/Bounty for a wallet address. After our ICO ends, the reward tokens can be transfered to your wallet address on FinanceX ICO website. 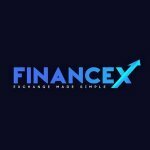 Then you will get a FinanceX exchange account automatically 10 days after and your FNX tokens are ready to be used and can be transfered to external ERC20 wallet..
8. Participants who quit before FNX ICO ends shall not get any rewards. 9. Bounty Managers/Team reserves the right to adjust the reward amount, depending on number of applicants in each of the bounty campaigns. 4. To be eligible to receive a reward All Members must post at least 10 valid posts per week and must keep their signatures until the end of the bonus campaign..
5. If participant doesn't reach 10 valid posts before end of week, No stake will be counted for that week. Only constructive posts count. 6. Posts have to be more than 80 characters long to be counted as valid posts. 7. To avoid spamming no more than 4 posts per day will be counted as valid. 8. Negative trust received during the campaign will lead to disqualification and no pay will be received. 1. Like + Follow our Facebook fanpage and like all of our posts: FinanceX . 2. Like and share at least 5 of FinanceX posts per week. 4. Maximum 10 posts share / week; maximum 5 posts / week. 6. Submit weekly reports on the thread. 7. Facebook account must have at least 500 friends, must be original and active. 8. Make privacy settings Public for your page. 10. Friends/followers will NOT be updated after having registered in the campaign. 11. Shares/ customized posts have to be spaced at least 1 hour. 13. Approval Rights are reserved with FNX team. 2. Only Official tweet (https://twitter.com/@therealFinanceX) of the current week are valid, retweet have to stay public until the end of the Bounty campaign. 4. Maximum 1 retweet/tweet per hour, 2 retweet/tweet per day. 5. Maximum 10 retweets / week; maximum 5 tweets / week. 6. Make at least 2 customized posts on your own per week. Tweets MUST INCLUDE with hashtag #FINANCEX #FNX #cryptocurrency #ICO #blockchain #tokensale #ETH #BTC (or mention our twitter username @FNX). 7. Submit weekly reports on the thread. 9. Twitter audit : at least 90%. (https://www.twitteraudit.com/). 10. Joining with multiple accounts is not allowed. 13. If you do not fill out the form every week, you will not be counting the stakes. 2. MUST update your Telegram nickname to "Your Name | ico.financex.io". NO advertisement of other ICO's on your Telegram Name is accepted. 3. You must Stay in the group until the end of ICO to receive your stakes. 4. Participate as an active member (minimum 20 posts before end of TOKEN SALE. You can ask questions about the ICO, Website, FNX token in general)..
5. Invite at least 3 friends into the group. 7. Participants must stay within the group until the ICO has ended. 8. Telegram accounts must be real (bots are not allowed). 9. You must keep nickname with FNX branding until the ICO has ended. 10. NO spamming, advertising, trolling or abuse is allowed. 11. Inactive users will be disqualified from the bounty campaign. 12. NO reward for being banned by an Admin. 13. Participants may not copy links from other participants. ** BONUS REWARDS ** for the top 3 most active telegram users weekly. Winners will be decided by the telegram admins. Top 3 users will receive 5 stakes each week. 8. Video Title must contain "FinanceX"
10. Videos without a human voice-over do not count. 12. Content must be kept live until the end of the ICO. 3. Article needs to be at least 500 words and be written in English. NO google translation is allowed. 5. Content must be original and will be checked. 6. All contents must be freely accessible. 7. The audience for the posted article/blog must be crypto related. 8. Content must be kept live until the end of the ICO. 10. Blog/ article with FinanceX wrong brand name and slogan will not count. Very Low Quality: 1 stakes.